Last year, my column in Financial Nigeria was focused on various themes in out-of-home (OOH) advertising or outdoor advertising. As a practitioner, my interest is to see a professionally-driven OOH industry in Nigeria that is globally competitive. With advancements in mobile technology, the ubiquity of the internet, and the growing importance of big data, the global advertising industry in general, and outdoor advertising in particular, have continued to evolve. The regulatory landscape is also changing in order to adapt to emerging trends in the industry. Therefore, advertisers must be dynamic and operationally efficient to leverage creative disruptions in order to boost brand awareness, increase sales and maximise corporate growth. While it may be too early to obtain comprehensive data on outdoor advertising spend in 2017, it was an unfavourable year for the industry in terms of patronage and regulatory interference. Although Nigeria emerged from an economic recession, the International Monetary Fund said the country is in need of urgent macroeconomic and structural reforms to support private sector-led growth. As the economy grew at a projected 0.8% last year, the outdoor advertising landscape was characterised by massive vacant billboards, short-span advertising campaigns, cancellations of existing relationships, among other adverse trends. Although last year might have presented a series of challenges in terms of business growth, I see a favourable outlook for 2018, especially for practitioners who are well-positioned and prepared. There are major events that will drive patronage for OOH service providers. Chief among these activities are political campaigns ahead of the 2019 general elections. The high political season will actually dominate the outdoor advertising portfolios of OOH agencies. This will moderate commercial campaigns, which are often the bread and butter of advertising practitioners in Nigeria. Electioneering is usually characterised by increased media space utilisation as various political parties and candidates running for office jostle to gain the support of the electorate. The beneficiaries of such political hyperactivity often include television and radio broadcast stations, press houses, outdoor advertising service providers as well as social and digital media outlets. With the release by Independent National Electoral Commission (INEC) of the 2019 general elections' timetable, which the House of Representatives has changed its order by amending the Electoral Act 2010, the momentum for the campaign season has already started to build. However, OOH executives need to take certain precautions to secure payments for services rendered. From experience, payment is usually a sticking point in media buying and utilisation by some corporate brands in Nigeria. The situation could even be more sticky dealing with the promoters of political campaigns. Media owners can take precautions by insisting on full payments for electoral campaigns to mitigate the risk of payment defaults. 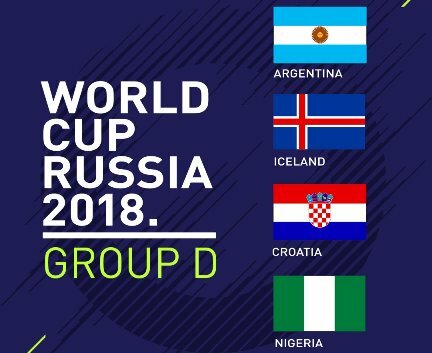 The 21st FIFA World Cup, which will take place in Russia from June 14 to July 15, presents a huge opportunity for Fast Moving Consumer Goods (FMCG) brand owners to leverage the participation of Nigeria's Super Eagles at the international football tournament. It is expected that media campaigns will be launched early this year to enjoy top-of-mind awareness (TOMA) across the consumer demographics and gain more share of voice (SOV) before and during the tournament. Expected campaigns will include new product launches, sales promotions, loyalty schemes, classic campaigns, among others. The quadrennial World Cup enjoys enormous media exposure. According to figures from FIFA and Kantar Media, a market research firm in the Philippines, the global in-home television audience for the 2014 FIFA World Cup reached 3.2 billion people. But with digital and social media consumption outstripping the traditional media platforms, analysts have said the 2018 tournament in Russia has the potential to be a landmark event for the sports marketing and digital industry. Based on industry findings, notable brands are jostling and positioning to take advantage of the opportunities expected from the one-month football fiesta. In the coming weeks and months, companies and brand owners are expected to embark on aggressive marketing communication across major cities in Nigeria via various out-of-home advertising channels. Football has a national appeal across all consumer demographics in Nigeria with massive viewership. An upshot of the FIFA World Cup 2018 would be the battle for viewership amongst DSTV, Kwese TV, Star Times, and a host of other free-to-air television channels in Nigeria. It is expected that the out-of-home advertising platforms would be utilised by the TV media owners to engage with the viewing public for subscriptions and patronage. Over the years, the Nigerian beer market has been characterised by duopolistic competition. However, the industry is becoming more competitive with other global players expanding their geographic footprints into the Nigerian market. With about 70 per cent market share, Nigerian Breweries is the country's largest beer company, ahead of Diageo's Guinness Nigeria (with 25 per cent market share) and SABMiller Nigeria (with 3 percent market share). The competition is envisaged to be more intense this year after the successful takeover of SABMiller, the world's second largest beer producer, by Anheuser-Busch InBev (AB InBev), the world's largest. The leading media campaign platform for the various beer brands to reach their target market will be outdoor advertising. This is because out-of-home advertising has proven to be an effective above-the-line marketing communication tool, focusing on the mass audience for the purpose of creating brand awareness, brand recall, as well as messaging and content amplification. And according to its 2015 MediaFacts report, MediaReach OMD, a specialist media company, said the total ad spend by the lager beer market segment in 2015 was N4.6 billion. The Euromonitor “Beer in Nigeria” report, which was published in September 2017, shows that the local beer market grew by 4 per cent in 2016 despite the economic recession. Samsung, Nokia, Motorola and Tecno are expected to continue their massive outdoor advertising utilisation in 2018 as the smartphone war intensifies. According to IDC, a global technology research firm, despite the slowdown in smartphone shipments across Africa in 2016, mobile phone shipments in general grew by 10.1 per cent in the same year, surpassing the 200 million mark for the first time. Nigeria is the largest market in Africa for mobile phones with vendors targeting the middle-income consumer group with smartphones. As the battle for consumers' wallets continue more aggressively in 2018, established and debutant brands will use OOH platforms to push for consumer patronage. In a similar vein, Mobile Network Operators in Nigeria have continued to demonstrate strong utilisation of out-of-home platforms for their advertising campaigns. While the outlook of the out-of-home advertising industry appears to be robust due to a heightening in political activities, the FIFA World Cup 2018, the bourgeoning beer market and increased adoption of smartphones, a call must be made for practitioners to show more professional integrity and conduct across the industrial value chain. On their part, regulators should not just be seen as revenue generating bodies for the various state governments. They should actively support the growth and sustainability of the OOH industry they superintend.